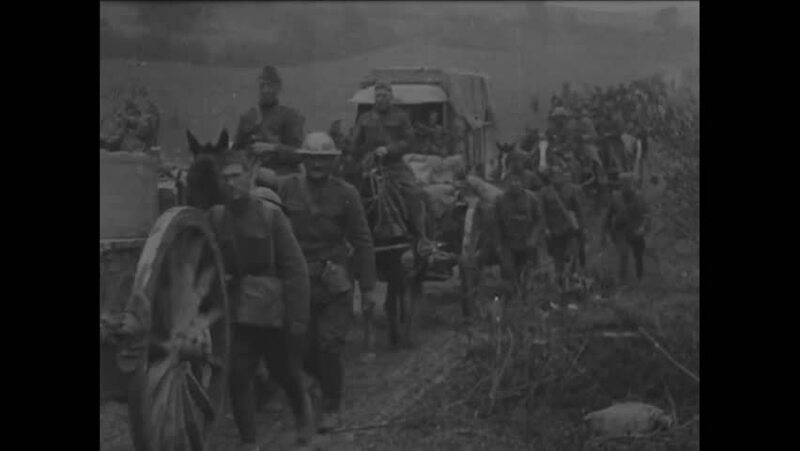 CIRCA 1918 - French troops advance at Charpentry. hd01:35CIRCA 1940 - As part of the Nazis' war plan, Belgian refugees clog the roads Allied troops must break through (narrated in 1943). hd00:32CIRCA - 1918 - The 307th Engineers lays communication cables in trenches in Ansauville, France, during World War 1.
hd00:25UNITED STATES 1930s: View of farm equipment / Grain pouring into bag / Long shot of train, smoke, fade out / View of farmhouse. hd01:15CIRCA 1950s - A history of Korea between WWII and the Korean War. hd00:19UNITED STATES 1940s: Machine wraps oil pipeline / Machine wraps pipe, man walks with machine / Machine wraps pipe, workers drive cart next to pipe. hd00:51CIRCA 1957 - Tanks used by the U.S. Army and Allies in WWII and the Korean War. hd00:29CIRCA - 1944 - Locomotives which will be carrying equipment and ships which will be carrying troops for D-Day are shown.